Cut out 75mm. Diameter 100mm. Depth 115mm. Lamp type R63 required. Max 60W. 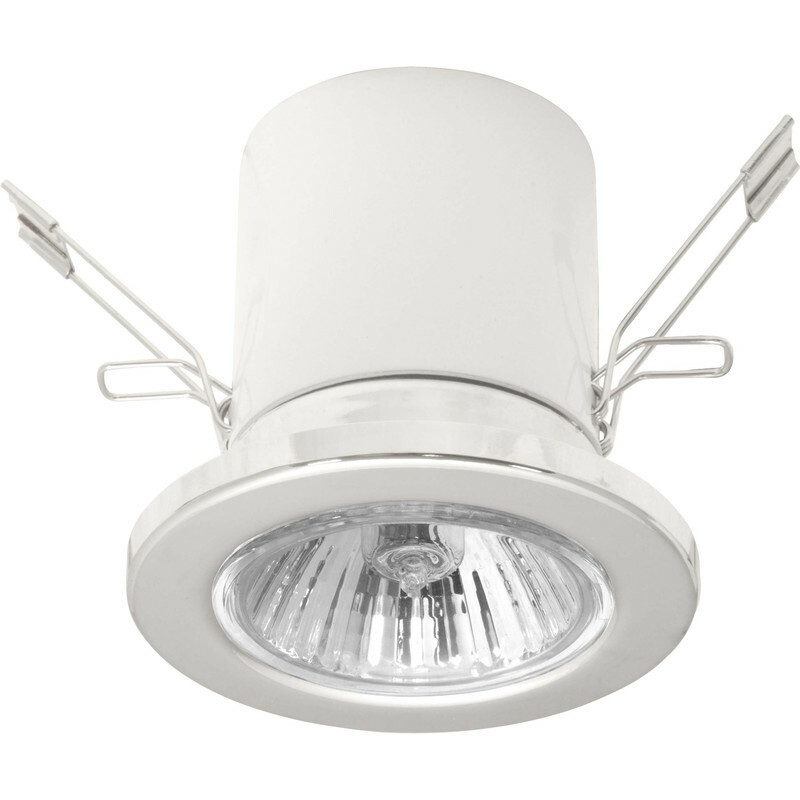 This luminaire is compatible with bulbs of the energy classes A+ to E. Meridian Lighting. Mains Voltage R63 Downlight Chrome is rated 5.0 out of 5 by 2. Rated 5 out of 5 by Retlaw from Excellent quality replacement Delighted with this product. Bought to replace older downlights. Simple to install, look great and inexpensive. Rated 5 out of 5 by LesD from Mains voltage R63 downlight Great value, well made, easy to install.